About Time is an established Cane Corso breeder, currently producing our fifth generation of healthy stable Cane Corso Italiano mastiffs. About Time Cane Corsos have remarkable versatility, and temperaments second to none! They are winning in Conformation show rings, competing in Obedience, exceling at Agility & Coursing, assisting as Service Dogs, training for Search & Rescue, earning multiple titles in Protection & Working Sports, and providing peace of mind as exceptional Family Companions dedicated to protecting loved ones. We are an AKC recognized Breeder of Merit, and specialize in breeding a Cane Corso of Italian and European heritage that is highly trainable, easily motivated, naturally protective, and remarkably versatile; a stable, balanced, family friendly, all-around dog who can do it all. The Cane Corso is not a breed for everyone; however, if you are searching for an exceptional canine we may have the right puppy for you. Select from our Heritage, Working, Service, and Companion puppies for an extraordinary dog who will exceed your expectations while doubling as an incredible and reliable partner devoted to protecting and providing security for your family. Genuine: not fake or counterfeit - or sincerely felt or expressed. Conforming to fact and therefore worthy of belief and trust. Versatile: Capable of doing many things competently. Having varied uses or serving many functions. Embracing a variety of subjects, fields, or skills; also: turning with ease from one thing to another. Heritage: Something inherited from the past; Something that is passed down from preceding generations. A status acquired through birth. Biological inheritance of physical characteristics. Our top-notch working dogs have the drive and focus to excel as Police K-9s, in working & protection jobs, sports, and competitions - balanced with a stable temperament that can be trusted with family and crowds. We are honored to provide serious high-drive working prospect pups and young adults to committed working homes and Police K9 departments. The exceptional family companion. An energetic, observant, and playful puppy, who will mature into an alert adult with that Pure Cane Corso Personality: both strong and sensitive, protective yet gentle, intelligent, mischievous (and smart enough to often get away with it), loyal, faithful, and completely, totally, undeniably, devoted to their "family". CONGRATULATIONS to our Accomplished About Time Cane Corso dogs and owners! Ch Anarchy is now a proven Reproductive Champion with four offpsring Champion titled, and more on the way! Jax was handled by Brandi Miller to his Ch title, making his dam Ch Anarchy a Reproductive Champion also! Secret was handled by Brandi Miller to her Ch title! Owned by Natika Anderson & currently competing toward additional titles! Imported from Montse of Rothorm Cane Corso in Europe! 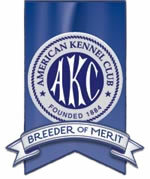 AKC Ch titled, and proven as a Reproductive Champion! Owned & titled by Daniel & Brandi of Mount View Cane Corso! Owned & certified by Mike of Pacifica Cane Corso! AKC Ch About Time's Cwn Anwn, CD, BN, RA, CGCA, TDI TT CAL1-2 ACAL1-3 ATAN WDST1 HIT. Currently working on getting his agility, CAT, weight pull and dock diving titles. About Time's Sueno de Cielo, Brevet: FIRST Female Cane Corso to earn a French RingSport Brevet title! About Time's Sueno de Nyx, BN, CAX, CGC, TDI: FIRST Cane Corso to earn an AKC CAA & CAX title! Emerging from the shadows of an early morning mountain haze, an ethereal pack of silhouettes break forth into the light. The dawn's first rays caress sleek black coats, glisten on distinctive brindling, and cast highlights onto large dark intent eyes. With flagged tails, arched necks, and ears pricked to attention wrinkling broad foreheads, they come. As they approach, they bound with exuberance. Their movements flowing with an amazingly sleek cat-like gracefulness, yet holding unleashed raw power in check. Toned muscles ripple and undulate, while hot blood courses through patent veins that strain against the finest of black skin. Jets of steaming breath flare from their nostrils. Deep eyes focus with an intense stare that both embraces and penetrates at the same time. As they break through the morning mist, these mighty dogs pause, seemingly aware of their presence, displaying the power and majesty that can only be truly claimed by the Cane Corso Italiano. We welcome you to browse our ever-growing website to learn more about our dogs and the Cane Corso breed. You will find we have taken the time to provide an extensive resource of photos and information to help you better get to know us and learn about these amazing dogs!